Before the establishment of the independent Institute of Botany (after the re-opening of the University in 1946) there had been established an Institute of Biology at the Pedagogical College, the activity of which continued at the Faculty of Arts in the period 1948-1951. An Institute of Botany, being a part of the Faculty of Science at the Pedagogical College, since 1954 working under the leadership of Prof.Dr. Otto Mrkos had become an background of the present face of the Department of Botany. In 1958 the Pedagogical College was completely closed and the remaining faculties became the components of the University of Palacký. 1st September in 1959 was a very important breakpoint in the history of the university because of establishing the Faculty of Science (including two departments: the Department of Botany and the Department of Zoology). Prof.Dr. Bohumil Jílek had been elected a head of the department of botany for a short period. After his leaving for Prague (College of Agriculture), Prof.Dr. 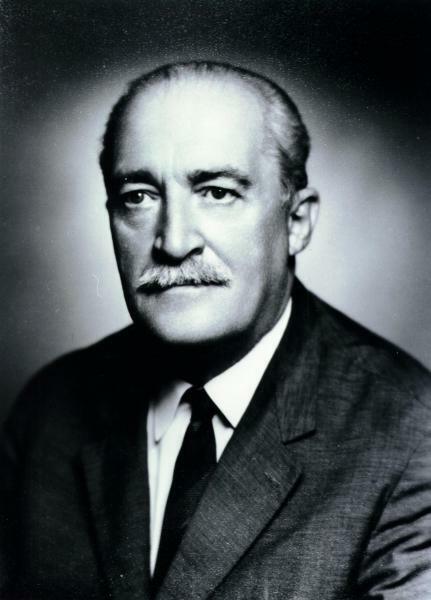 Josef Šula became a head of the Department for the period 1961-1973. This period was a very outstanding era because new teachers, including Prof.Dr. 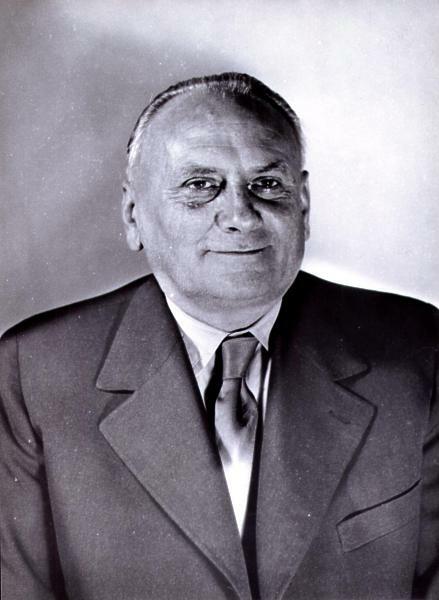 Josef Dostál (1963), joined the Department. Following few years (1961-1970) meant hard work for rebuilding a new Department. New bases of the Department were created (with the help of Prof. Jílek and later Prof. Dostál too) especially in the fields of ecology and systematic botany. Thanks to the hard work of Prof. Šula the Section of Didactic gained its high importance as well. The period was focused on other subjects, as a matter of fact a botanical garden, equipping new laboratories and mainly gaining still more and a better stock of botanical collections. New herbarial items were obtained and a new collection of seeds and products was established. In this time a number of students working in the Department increased and for the first time a special education of biology was formed. A 1968 year was a break in the development. After the death of Prof. Šula there was a change in the leading position and Doc.PaedDr. Jarmila Poncová, CSc. (1973-1978) was established as a head of Department. Prof. Dostál was retired. This period was critical, many of the previous international contacts were lost, the idea about the orientation was being changed and many teachers could hardly survive in this peiod of the “political crisis”. Only a few students were able to study because of the limited possibilities of the Department, there were no experts, teachers and lecturers. Only a small number of teachers could (and had to) teach and if new ones were employed, many of them had no special orientation. Since 1978 till the Velvet Revolution in 1989, the Department had been lead by Doc.RNDr. František Nováček, DrSc. A 1989 year brought a lot of changes. Many teachers left and new especially young ones joined the Department. Doc.RNDr. Vratislav Bednář, CSc. changed the orientation of the Department in the sense of the original one and an independent and separate study of botany (master´s degree) was performed. All the department moved to Olomouc-Holice in summer 1994 to a place previously belonging to the Research Institute of Vegetable Growing and Breeding. This was a foundation of the further development of the Department and other scientific branches, especially the experimental ones. Some new members joined the Department (Dipl.Ing. Pavel Havránek, CSc., RNDr. Božena Navrátilová, RNDr. Jaroslav Jurčák, Prof.Dipl.Ing. Aleš Lebeda, DrSc., Prof.Dipl.Ing. Miroslav Strnad, CSc.). They completely changed the vision and established a new stream of experimental botany in the process of both the teaching itself and the scientific and specialized orientation of the Department. In March 1995 Prof.Ing. Aleš Lebeda, DrSc. became a head of the Department. In the course of history many famous personalities participated in establishing a Department of Botany, e.g. Prof. O. Mrkos (a founder of botany on the University level in Olomouc). His assistant, who helped him, was Prof.PaedDr. Jarmila Bednářová, who had been working at the University since 1952. Prof.Dr. J. Šula, an author of the textbook of botany for elementary schools, and a chief editor of the journal “Natural Sciences at School”, being our famous didactian of botany, was an outstanding personality as well. Another specialist, an expert who had had a basic influence on the department, was Prof.Dr. J. Dostál, an expert on taxonomy, and an author of the following handbooks: Flora in the Czech Republic (1948-50), Keys for the Complete Flora of the Czech Republic (1954, 1958), New Flora of the ČSSR (1988) and many other outstanding works and articles. Most of the above mentioned personalities found out the fundamentals of the present Department of Botany, the importance of which has been followed by up-to-date generation of teachers and researchers.